At Wessex Garages, we want to make our vehicles available to you at the most competitive prices, and with flexible methods that help you to make the most of your personal budget. Investigate your finance options here on our website, or contact your nearest Wessex Garages dealership today to talk to our staff members about our different deals and packages. Contract Hire, often referred to as an Operating Lease, is a long term rental agreement. Contracts range from 1 to 5 years and are tailored to the businesses requirements. 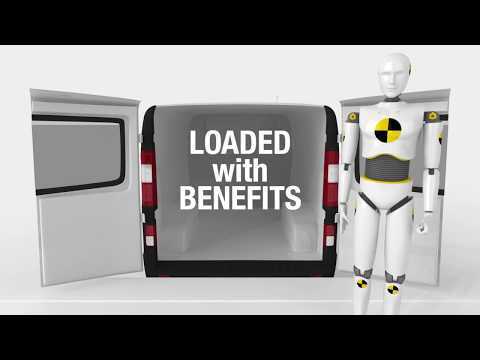 It benefits customers wishing to eliminate the financial risk associated with disposing of a vehicle. Contracts are usually taken over two, three or four years, providing a high level of flexibility. Some contracts can be formally extended beyond the end of contract date if required. Just ask and we can answer any of your questions regarding extending your contract. PCH is very similar to business Contract Hire; both are based on a fixed annual mileage agreed on inception of a contract. You will need to decide how many miles you drive each year before quotations can be obtained. Once you have stated how many miles you drive in a year and considered which vehicle you would like to lease a quote can be created for you by one of our sales team. Please remember this when deciding upon you annual mileage. If you are looking to have predictable motoring costs adding maintenance to your monthly payment is easy. Maintenance is there to put your mind at rest should any challenges arise with your vehicle and generally covers servicing, routine maintenance, tyres, exhausts and batteries. Please note that it is responsibility of the person named on the finance agreement to arrange and pay for fully comprehensive insurance for the vehicle. It is important that the vehicle is returned in accordance with the guidelines set out in the 'Fair Wear and Tear Guide', a copy of which is made available to customers when they are near the end of their PCH agreement. Your business uses the vehicle while paying a rental rather than a repayment. The monthly rental is determined by the initial cost of the vehicle (excluding VAT), the period of the finance lease and the residual value (the estimated future value of the vehicle at the end of the finance lease period once depreciation is taken into account), plus interest. A hire purchase agreement, also referred to as HP, is a hire agreement which gives you an option to purchase at the end of the agreement. HP is normally a fixed cost (where the APR is set before the contract begins), fixed period loan (typically, 2-5 years) of money to purchase goods, which is secured against the vehicle being bought. You are the registered keeper of the car and are responsible for insuring and maintaining it, but the finance company providing the HP agreement remains the legal owner (‘has title’) of the car until the amount you have borrowed has been fully repaid and you have decided to pay the ‘Option to Purchase’ fee. However, this is completely optional.